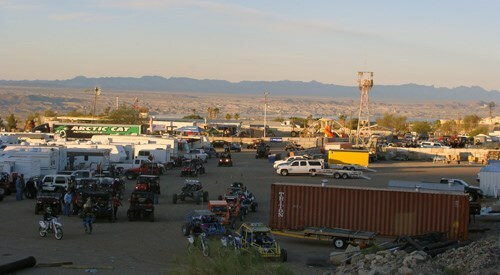 Each year, Lake Havasu Chamber of Commerce organizes the Lake Havasu Area Chamber of Commerce 2016 Desert Bash & Off-Road Poker Run. This year it is being held from December 09 to December 11 at 2 pm. The event is sponsored by Arizona West Allsports Inc. While everyone is gearing up to be there at the event, there is some information that would be helpful to know. What happens if you wish to cancel your participation? There’s no refund. The event will happen whether or not the sun shines. What about the ticket, do you need to carry it? Since it’s a desert event, we suggest you keep a hard copy of it. Can you just come down to the event and buy your tickets? Each year the event gets sold out. Chances are you will just have to sit out. What about the parking facilities? The short route to the event is unpaved. If you take that route, use a vehicle for the dirt road. Parking at daytime is free. Campsites are 25’ X 40’ and are $50 for both the nights. Why do you see the campsites online? After last year’s event, the organizers decided to create a more convenient site map. Can we purchase tickets together for a friend say? While we encourage people to come in groups and enjoy the event, we ask that you purchase tickets individually to avoid “day of” issues. If you want to spend time in the event together with your friends, coordinate with them when buying tickets. Is it a must to partake in the run? Absolutely not. If you wish to stay back and enjoy the festivities in the campsite, you can hang around in the base camp. While you must be preparing for the winters and Christmas, there are more events that you can add to the calendar for having fun with your family. The Lake Havasu Area Chamber of Commerce is composed mainly of small businesses. The Chamber was created to represent the interests of businesses to the government and gives opportunity to network. The events all promote the state of Arizona. Camping is usually on a first come first basis. So, try to be there early with your water, beverages, snacks, warm clothing to fight wind, sun protection. The course is tough and not short by any means. Be mentally prepared for what may lie ahead. You may find some checkpoint sponsors offering light beverages and snacks but we suggest you not to depend solely on them and carry your own ration. The sponsors haven’t raised the event fee but there’s small convenience fee you need to pay. You can avoid them by purchasing your meals etc at the registration booth. Since the event sells out each year and you must be aware of that don’t wait until the last minute to do your planning. Contact Lake Havasu City Properties today for all of your real estate and rental property needs in the Lake Havasu, AZ area, or give us a call at 928-854-7210.